Eagle is one of the most famous and widely respected restorers of Jaguar E-Type models. The UK-based company also offers replicas based on the E-Type like the Eagle E-Type, Eagle Speedster and Eagle Low Drag GT. 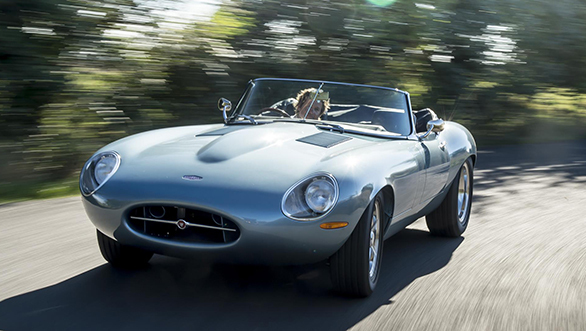 Now Eagle has introduced the Spyder GT which was first announced at the 2016 London Classic Car Show. 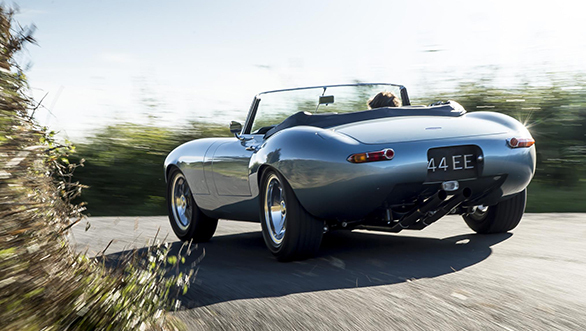 As expected, the Spyder GT is an original Jaguar E-Type restored to full glory by Eagle. The fourth Eagle special edition is priced at £695,000 (Rs 5.91 crore) excluding taxes, and only up to six units will be made. The Eagle Spyder GT is powered by a 4.7-litre XK engine which makes 330PS and 460Nm of torque. Eagle claims that the car tips the scales at just 1,029kg. The company has carried out exhaustive weight-saving measures which include an aluminium monocoque, aluminium gearbox, aluminium engine block and magnesium components. The Spyder GT gets a folding roof to ensure occupants can remain comfortable when the weather turns bad. Eagle says that apart from being one of the 'most exclusive hand-built cars', the Spyder GT will offer buyers extensive options to choose from. The aluminium monocoque gets deeper sills, a lower floor pan and wider wheel arches along with custom 16-inch wheels. Eagle claims the Spyder GT can sprint from 0 to 96kmph in under five seconds and attain a top speed of over 273kmph.